What is BS10008? Is your scanning provider compliant and certified? Home/Blog, Document Scanning, Lloyd George/What is BS10008? Is your scanning provider compliant and certified? Have you ever considered having you documents digitised? If you decide to digitise your documents you will be investing time and money, for this reason you need to be sure you choose the scanning processes and services that are BS10008:2008 certified. If they are not BS10008:2008 certified then your files might not be scanned to a high quality and this could be detrimental to your business. Why is BS 10008 so important? BS10008 is the British Standard that outlines best practice for the electronic scanning, storage, transfer and management of electronic data. All elements must meet the requirements of this standard to be compliant. The scanning of your items will be to such a quality that should your documentation be required as legal evidence in a court of law the electronic copy of that information authenticates and is and exact replication of the physical file. DataSpace are BS10008 compliant and certified this means that the scanning of our clients files are to the best quality they can be. This is evidence that DataSpace are continually working on improving, implementing and operating electronic management systems and that we are regularly audited by British Standards to ensure we are doing all they can do to improve. 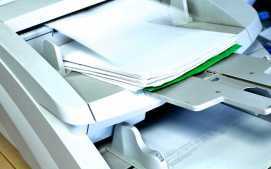 By scanning this way it also gives the client the ability to have their documents securely destroyed. It is designed to help you verify and authenticate all your information to avoid the legal pitfalls of information storage. BS10008 outlines best practice for transferring electronic information between systems and migrating paper records to digital files. It also gives guidelines for managing the availability and accessibility of any records that could be required as legal evidence. Apply BS10008 to your electronic information management and you will have better processes in place to deal with copyright, tracking and verification issues. It also covers how to migrate paper records to microform or digital format without compromising quality. This will save you the cost of paper storage, while reducing the amount of paper your use contributes to your organization’s environmental credentials. BS10008 also outlines ways to authenticate encrypted information and electronic signatures – helping you to align BS10008 processes with your information security policies. And you’ll have processes in place to make the way you manage information over longer periods more straightforward, including migration during technology upgrades. Plus you’ll be in a better position to manage the risk of losing records – electronic information can be backed-up and protected more effectively than paper records at risk of physical damage. To find out more please call us on 01606 331115 or email info@data-space.co.uk we look forward to hearing from you.